The NBA made it official: No colorway rules will restrict what players are allowed to wear this season. Who will this development help most? From LeBron James to Puma, The Crossover looks at the biggest beneficiaries. The Air Jordan “Banned” story has long been documented. The black and red colorway of the Air Jordan 1 Nike was set to release violated the NBA’s league uniform policy and was worth a $5,000 fine each time the Bulls star wore them on the court. Jordan, who is widely known as the greatest player ever, changed the way brands market professional athletes with his sneakers. While the sneakers were banned, that did not stop Nike from creating perhaps one of the most brilliant marketing tactics in advertising history. The message: The NBA banned a revolutionary basketball shoe but the league can’t ban fans from wearing them. The NBA is singing a different tune nowadays, and on October 16, when the new season officially begins, players will have the opportunity to wear whatever sneakers they want to wear. While the rules have been laid back for some time under the helm of NBA commissioner Adam Silver, this new development just makes it official. The NBA has been the leader in the sports clubhouse on creative expression. 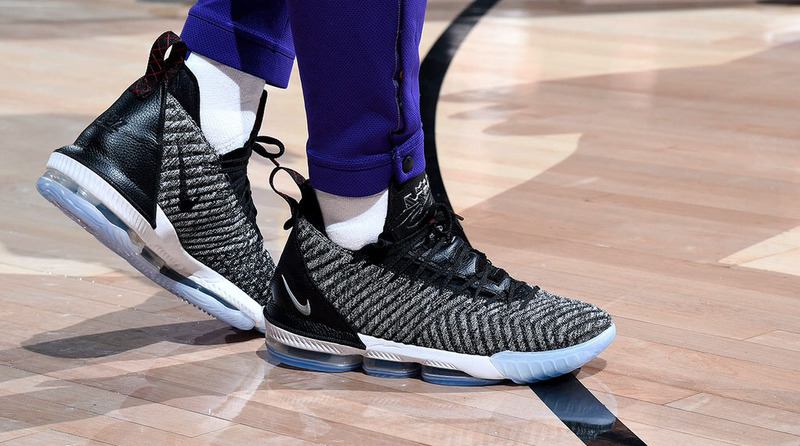 Last season alone we had the LeBron Watch Program during which James wore 51 different versions of his LeBron 15 sneaker on the court. The rise of sneaker customization was seen everywhere last season on the feet of players such as James Harden, Karl-Anthony Towns, and Donovan Mitchell. With the sneaker colorway ruling taking effect, The Crossover put together a list of guys who will take full advantage. Don’t expect any drastic changes to Tucker’s rotations because he has always been an innovator wearing rare colorways and retro sneakers. But expect Tucker to get creative and grab a few headlines on on sneaker blogs this season. The Rockets had a historic year last season, and there will be more eyes on the team this year after they took Golden State to Game 7. Tucker is a key component on a championship contender and knows this is his best opportunity to shine. While LeBron James has the highest selling sneakers in the business, Kyrie Irving is the most popular signature sneaker star with kids. Irving has had many fun themes throughout his shoe history. The Kyrie 4 offered some of the best yet with his collaboration with General Mills to launch the Cereal Pack that included shoes inspired by Lucky Charms, Cinnamon Toast Crunch and Kix. There was also a Wheaties inspired sneaker that had a limited alongside the Uncle Drew movie. The Kyrie 4 proved Irving is without a doubt a sneaker superstar and the Kyrie 5 is on the horizon. The sneaker world will miss out if Nick Young does not find an NBA team soon. 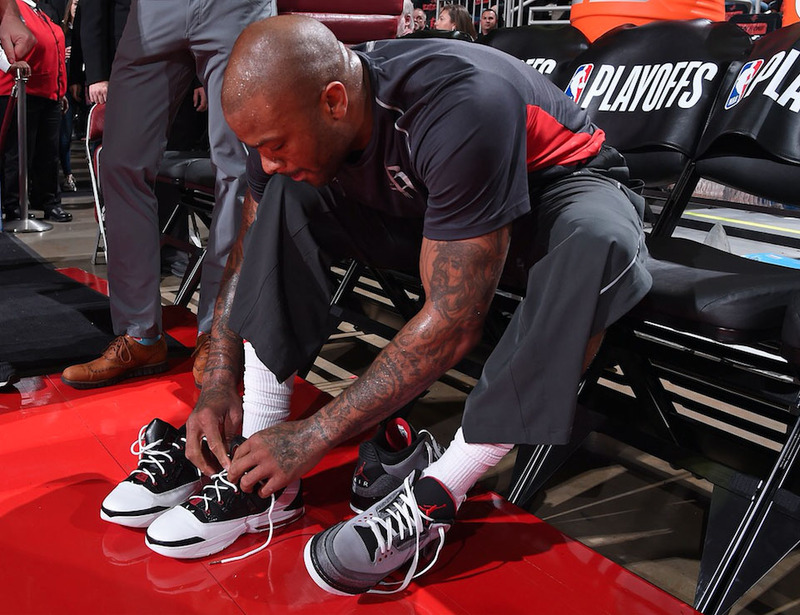 Young has been a pioneer in rocking sneakers on the court that no one would think of touching. He wore the Yeezy 500s and the Yeezy Boost 750s during his time with the Warriors and Lakers, respectively. Young will have to find a loophole if he wants to wear Kanye’s first Adidas Yeezy basketball sneaker due to a report about them being banned in the NBA because of the reflective "3M" heel panel. I think it is safe to say that LeBron James has the record for the most sneaker colorways in one season. Nike sneaker designer Jason Petrie told The Crossover the LeBron Watch program will return this year, and he expects it to be a major hit again with James now in Los Angeles. When it comes to sneaker rollouts, LeBron has become very strategic at a time when basketball shoe sales are down. His sneaker collaborations with Kith, John Elliott Co. and Harlem Fashion Row have given him a platform to showcase his sneakers on fashion runways opposed to only on the court. Expect LeBron to have a few tricks up his sleeve this season while showcasing his kicks on the Staples Center floor. Stephen Curry’s signature sneaker line has been through it all. From high sales to social media mockery, Curry’s line needs a big boost this year. Under Armour launched their Icon customization site last year in an attempt to compete with Nike I.D. and MiAdidas. Curry teased his excitement to showcase his sneakers with the NBA’s new ruling while on tour in Asia this summer. The Curry 5 was a step in the right direction and UA should aim high with the Curry 6. Puma re-entered the sneaker market with much bravado. They announced that Jay-Z will head the creative department and signed multiple lottery picks. Deandre Ayton, Marvin Bagley III, Michael Porter Jr. and Kevin Knox were among the names listed. The Puma Clyde Disrupt, which features a loud colorway, was created for to just that. Expect the brand to take full advantage of the rules and introduce new colorways that will grab attention. Puma also signed Celtics guard Terry Rozier to a deal and he has not held back on leading the brand to new heights. He told reporters, "I’m trying to have some drip, come out with some drip—mainly for the young kids. Puma’s the new wave. You can get on the train or get lost. It don’t really matter to me. It don’t help me out. I’m gonna still come through with the drip regardless."